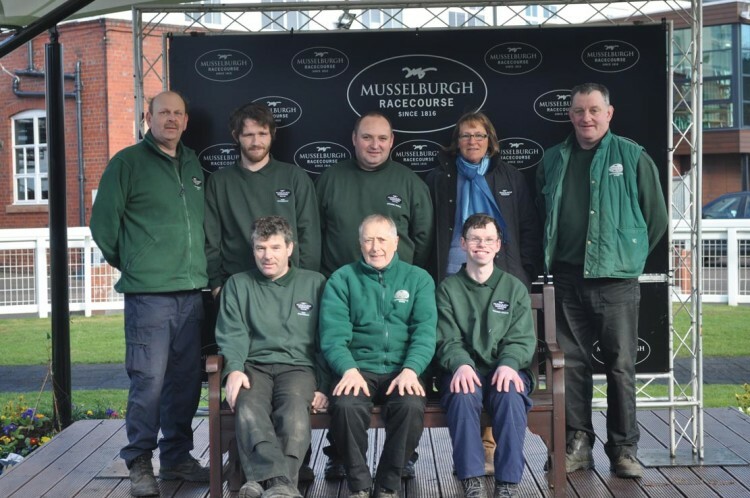 Musselburgh Racecourse, which traces its history back to 1816, is a not-for-profit organisation run by the Musselburgh Joint Racing Committee (MJRC), a partnership of East Lothian Council and the Lothian's Racing Syndicate Limited (LRS). 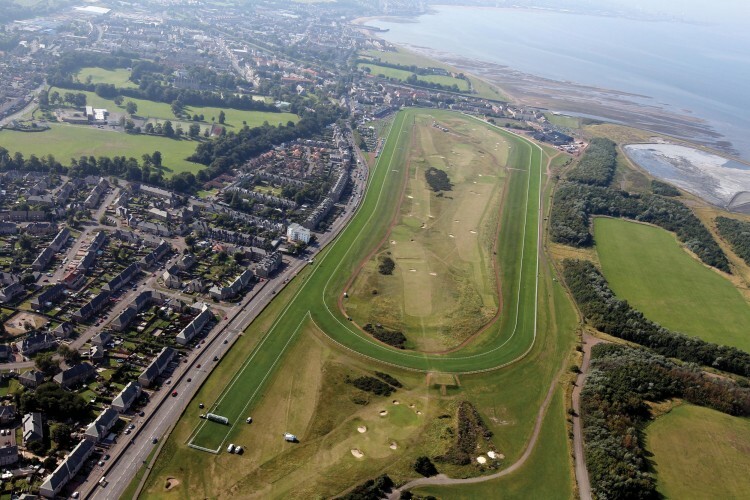 The racecourse itself sits on Musselburgh Common Good land, and East Lothian Council own all the facilities and assets, such as the grandstands and stables. The MJRC pay a full commercial rent for use of the land and facilities to both the Common Good Fund and East Lothian Council. More than £7.5 million has been invested into the facilities at Musselburgh Racecourse since 1995, and the results include a new hospitality stand (The Queen's Stand), the refurbishment of the Edwardian Grandstand and all public areas, the building of the Links Pavilion housing many essential facilities for customers, a new weighing room and entrance complexes, a new parade ring, new stables and groundstaff facilities, and extensive landscaping, plus improvements to the track itself. 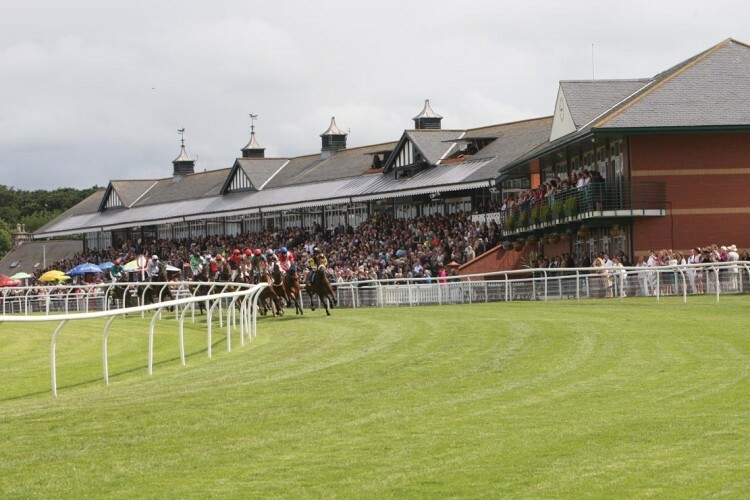 Musselburgh hosts a number of prestigious fixtures, including a Cheltenham trials day much appreciated by the Festival's 'northern raiders', the Edinburgh Cup day in June, and the sell-out Ladies Day, which attracts 7000 racegoers. Yet, it is still a small racecourse, with limited land and a team of just four full-time groundstaff, who put in considerable effort to deliver twenty-four flat and national hunt meetings a year. 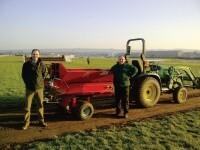 Their work was recognised in winning the Dual Purpose section of the 2011 Neil Wyatt Racecourse Groundstaff Awards, with the mighty Ascot as runner-up. Clerk of the Course, Harriet Graham, comments, "We were thrilled to win the award, it was very unexpected, especially up against some of the bigger courses. I believe it recognises what our small team achieves in putting on so many meetings, but everyone involved with the course is a joy to work with, from the volunteers who hand out the number cloths to the board members." Harriet, herself, has been at the course just a year, having been encouraged by former clerk, Anthea Morshead, to go on the clerk's training course whilst she was working in television at Racing UK and Racetech. 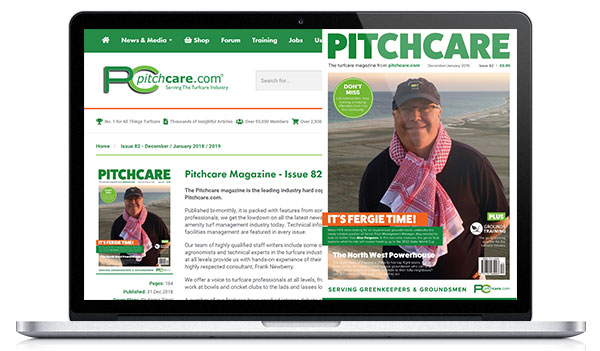 "I've always been interested in groundsmanship, plus I train racehorses myself, so I have a good idea of their needs. My priority is to provide fair, consistent footing for racing," she explains. The limited space available for the course requires careful management to provide fresh ground for meetings, involving lots of rail movements, as well as moving the fences for national hunt fixtures. "A programme of investment in portable fences has seen two traditional fences replaced each year so, by 2013, they will all be portables, which can be moved in half an hour per fence," Harriet explains. Separate courses for flat and jump meetings can 'just about' be maintained, she points out, which is useful given that, in 2011, the team had a one week turnaround from the flat to jumps season. "We have six weeks in the spring to prepare for the flat, which is a bit easier." Widening the canterdown is another improvement undertaken this year, which should help protect vital areas of racing surface by reducing footfall on the track itself. The sandy, free draining land and low rainfall means that Musselburgh can offer good going when other courses are heavy, but the flipside to this is the need to water to maintain good-firm going for the flat. A brand new irrigation system has been installed by Souters Irrigation Services, with a new ring main, which means that sufficient water can be put on over a twelve hour period as opposed to twenty-four hours in the past. "We should be able to water more efficiently too, putting it on in the evening or at night rather than when it is hot," comments Harriet. 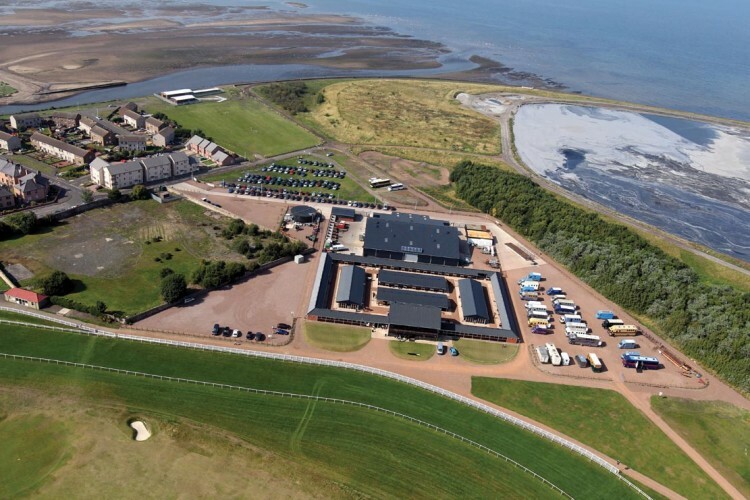 The new stable complex is a major step forward for Musselburgh, not least for safety as, previously, horses had to be led down the road from the stables to the track. Head Groundsman, Mark Bemrose, oversees part-time staff who come in to muck out after meetings, and the grounds team bring in bedding and do other chores for the stables. Sited in Musselburgh's golf course complex, the stable development has also benefited the golfers, providing canteen facilities and a clubhouse. Groundstaff are also heavily involved in gardening, as presentation becomes more important on racing and non-racedays, and a new winners' podium has been created and planted up. Much of the specialist renovation work - earthquaking and verti-draining, to make the most of any available water and encourage grass growth - is done by contractors. "We do occasionally hire this type of equipment," she says, "but, as we have such a small staff, it makes sense to bring in a specialist. Removing compaction is an important task - the more forgiving the ground, the less risk of injuries to horses which, from my perspective as a trainer, is best for horse welfare and likely to encourage other trainers to continue to send their horses to us." 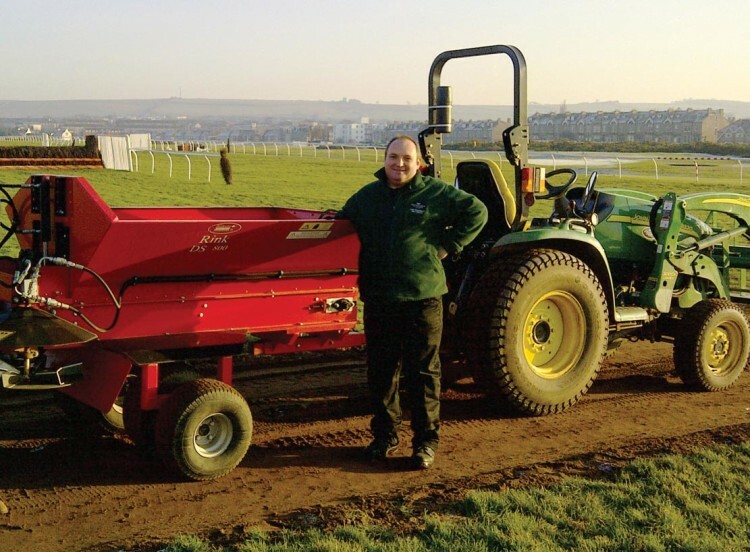 As well as Mark and his team of four, Harriet relies on six part-time staff who are engaged for big jobs, and an outsourced ground repair team who come in after racing to tread in and apply divot mix. "They are invaluable - they work until it is dark and then come back the next morning, not stopping until the job is done," she comments. 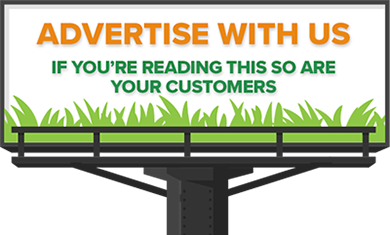 The general public have free access to the course, not to mention the golfers who actually cross the track during their rounds, so minimising their impact is all part of the job. "We also host events such as the New Year Sprint and trotting races. But we try to keep the public off the racing surface where possible," Harriet explains. "However, vandalism can be an issue, from burning fences to breaking rails, so it is just something we have to keep an eye out for." Plans for the future include adding an all-weather strip for half a furlong on the flat track to prevent the bends getting chopped up, but all developments have to be budget led. "We're not affected by local authority cuts, but our aim is to have a good business plan to make money that can be reinvested in the racecourse," says Harriet. The will to offer good racing with limited resources caught the eye of the Racecourse Groundstaff Awards' judges in 2011 and, this year, the team again 'went the extra mile' in spectacular fashion, shaking off the big freeze to reschedule Musselburgh's Cheltenham trials day in early February when the rest of the country was still under ice. "We applied for the fixture and trainers were desperate to race; if the forecast had been wrong it could have been tricky! But, the course was ready for us to run the week before when we were frozen off so, as the temperatures rose to 9OC, it was simply a matter of getting the staff in place so that we could provide that opportunity," says Harriet. Machinery is chosen to be as efficient as possible, whilst producing top quality results. A new Wessex RMX240 roller mower was purchased last year, and is mainly used the day before racing to stripe up the course. Head groundsman, Mark Bemrose, explains: "The Wessex mower enables us to improve presentation for the meetings and also acts as back up to our main mower, a Jacobsen HR9016. It takes about six hours to cut the course and, in the peak season, we are mowing every other day." A Rink topdresser and second hand Gator have been added this year, and the latest addition to the tractor fleet, a 66hp John Deere 4720 multitasks around the course. "The 4720 is so useful," comments Mark, "We have a loader fitted so the tractor can move material for divoting, it pulls the mower, tows the two Briggs irrigators and also handles the Moore Uni Drill, which is a heavy piece of kit." 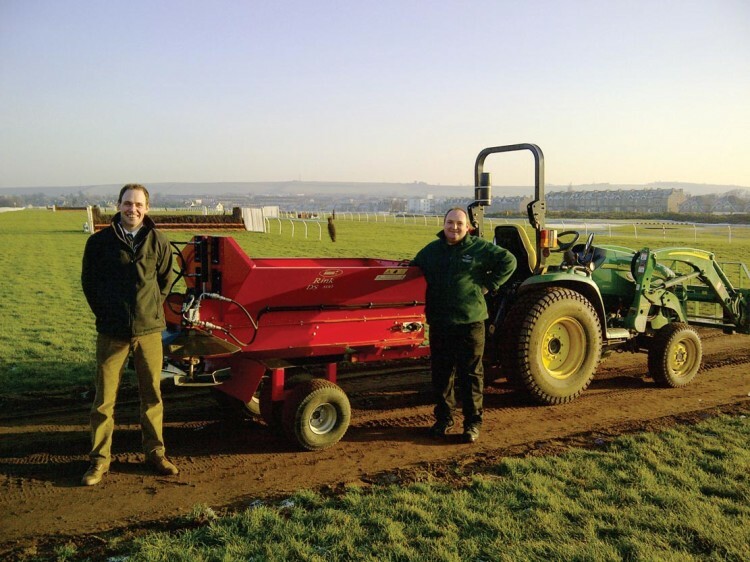 Overseeding is an important task - carried out in March, between the national hunt and flat seasons and again in July after the course is used for a two-day harness racing meeting. 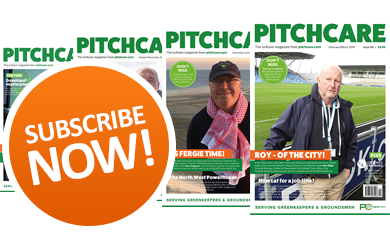 "We have had our own grass seed mixture, prepared by local company Go Green, with 100 per cent ryegrass to give us the quick establishment needed," Mark explains. "The harness racing tends to 'bruise' the grass, so we reseed again to take us through to November when we are back into the national hunt season again." He adds that getting specialist support from local companies is also key to making the job work - Sherriff Groundcare of Haddington, East Lothian take care of all the servicing and parts for machinery.